No one cares anymore. No one cares about the rock & roll dream of hedonistic pursuits and pleasure. That is no one except the Vegastones who carry the torch brightly in these darkened times. Tim, Svet and Damon walk the wild streets under neon skyline and revel in the trash of the subway - it means so much more than an Irvine Welsh novel (but then most things are). Think New York, the Velvet Underground, Bowie. Think Big!!!! "I was sitting on a junk, smoking skunk by the killing moon" - Don't you just wish this band were the scriptwriters for Neighbours (Ed: The band are Australian, just for those who didn't know). Ok, its not original or even particularly clever but it has a subtle charm that seems lacking in lyricism at the moment. It takes you back to a time when Brett Anderson used to use such simple ideas to portray the seedy side of life and there's still something romantic about that voyeuristic lifestyle. While "Porcelain Skin" and "Drag Queen Eyes" may have been lost amongst the acoustic wilderness and boy band hell, the album should re-affirm the bands status as one of the truly great bands of 2000. Just listen to "Neon Jesus", "The Bomb" or "Falling To The Ground" perhaps the more sensitive tracks on display and you'll know why. Usually when a band heads into the studio on production duties they perhaps lack the clarity of vision needed to make a truly great album, but the Vegastones come close with the exceptions of fillers "Hey 66" and "Disco". 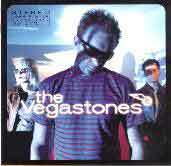 With the FLC's album out later this month its hard to see the Vegastones making much of a dent into the sales chart, but try and give them a chance. If you think of this "Love Hotel" as a fine wine or an expensive cheese - just give it time. As someone familiar with the material for 6 months I can only vouch for that. While this may not be the definitive release just wait until they get to that 3rd album and you'll wish you'd joined them in the early days.